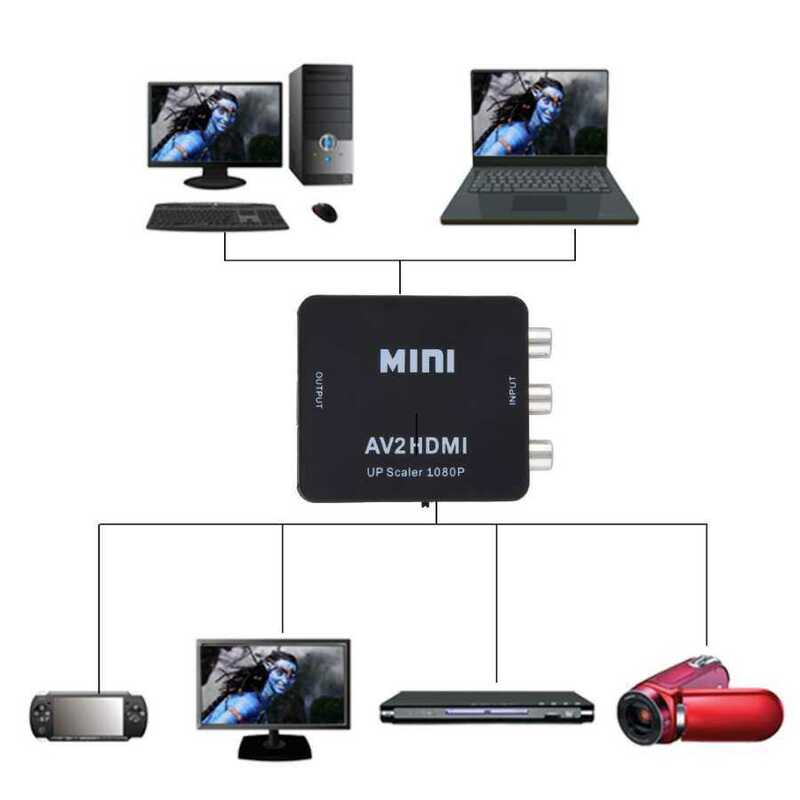 If you want to use your DVD, VCR, camcorder, or game system with RCA outputs with your new HDTV or HDMI monitor, this converter may be what you need. Simply plug standard composite AV cables (yellow, red, and white) into the input port of the converter, and then connect an HDMI cable from the converter to your TV. Enjoy this practical and simple device, which is easily concealable yet capable of delivering high-definition images. This converter works great with either 720p or 1080p TVs, and the output mode is easily selectable with a switch on the device. This converter's advanced processing IC allows you to get the clearest picture quality possible with optimal color and detail reproduction. Both video and audio are integrated into the HDMI output, providing an all-digital, one-cable solution to your HDTV or monitor. 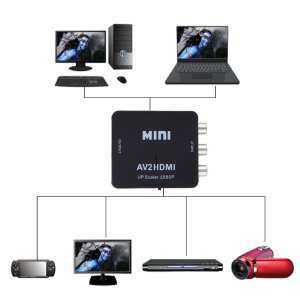 Usage: Standard HDMI to AV Converter.